Is your company looking for a great way to qualify for more tax credits as well as support the people who have defended our country? Then consider hiring veterans for your open positions. Of course, recruiting veterans will not only save your company money, but veterans provide a large pool of highly-skilled, highly disciplined, and highly-qualified individuals who can bring a great work ethic to your company culture. What is the best way to go about recruiting more veterans? We have covered your bases (see what we did there?). Read on for helpful tips. Many companies are successful at recruiting veteran employees, such as Best Buy or Wal-Mart, and have established a strong brand in the military community. Consider creating marketing materials, such as video clips, employee profiles, and blog posts that highlight the veterans you already have employed. Having items, like hats, buttons, or stickers, for veteran employees to wear that advertise their veteran status can help broaden awareness of your company’s military-friendly nature. Never underestimate the value of what some may consider “outdated” forms of advertising. There is a reason that the tried and true job fair is still a valuable place to find potential employees. If you attend veteran-specific job fairs, you are likely to encounter a large pool of qualified veteran job-seekers in one place. Another essential resource for recruiting veterans is posting your job openings online with the right keywords, which include text in the job description that indicates your company is military- friendly. Also use recruiters and social media campaigns to help broaden your reach. An experienced HR representative will be aware of any current veteran employees on staff. These individuals are a huge asset to your recruitment efforts as you can ask them for referrals of acquaintances who are veterans for your current openings. You can also post job openings on veteran networks. Another effective way to filter potential candidates is to go straight to government resources for veterans. Many websites, like HireVetsFirst.gov, HelmetsToHardhats.org, and USAJobs.gov, will let you post job openings. Most sites like these will even allow you to list your openings for free. Knowing what skills veterans commonly possess and the terminology they use for these skills is a huge asset when writing job descriptions. Just think of what veterans might type into a search bar when looking for a job and include those phrases in your writing. You can ask current veteran employees for ideas. What skills might a veteran have gained while serving in the military? Include these skills in your job descriptions and write about them in a way that relates to your company’s needs. Once you have recruited new veterans for employment, consider using the previous veteran hires as mentors to teach your new employees how to translate their military skills into usable skills for your workplace. 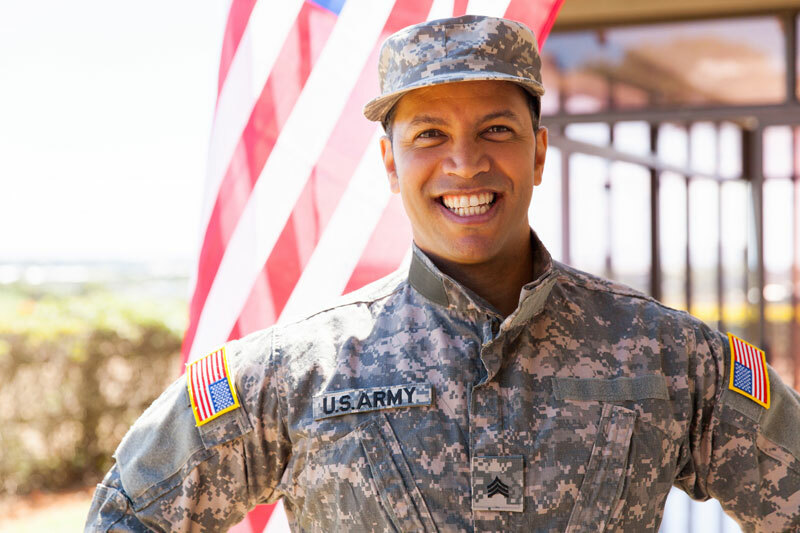 The benefits to your company’s reputation among employees and customers, as well as the great financial benefits, are worth any effort it may take for you to search out and recruit veterans. What are you waiting for? Get started today. For additional help with recruiting efforts, check out our library of helpful HR training videos. CA HR Services specializes in working with small and medium-sized companies to help develop legal, efficient and appropriate HR processes and procedures that meet state and federal labor law requirements.